While many travelers have an aversion to checking their luggage, especially as the cost of doing so continues to rise, it’s sometimes the only option. Maybe you’re in the final boarding group and all the overhead bins are full. Or maybe you’re going on a long trip and, even with the best packing tips, can’t fit all your belongings in a carry-on. Have no fear. 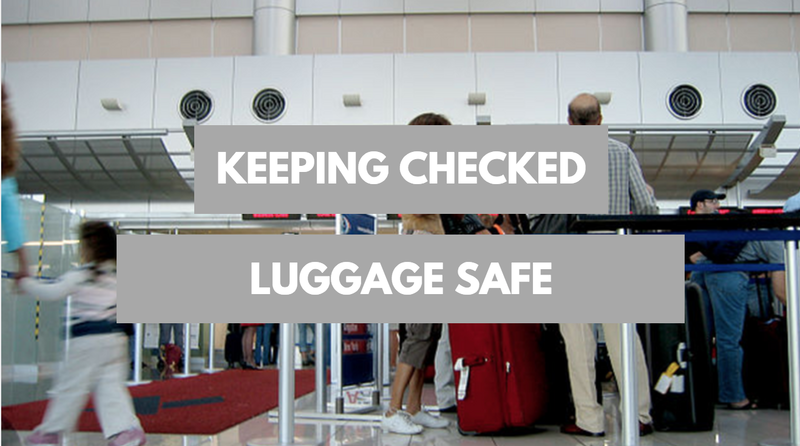 By following a few simply guidelines, you can keep your luggage safe without having to keep it by your side. Usually packing for a trip involves figuring out what outfits and other goods you’ll need during your stay. But, whether you’re packing a carry-on or not, it should also involve prepping your suitcase for the possibility of being checked. At its most basic, that means using a luggage tag that includes all your contact information: name, home address, email and cell phone. Also, print out your itinerary and keep it in your bag, in easy sight and reach. If the bag takes a wrong turn, this will make it even easier to be returned to you quickly. Next, use a luggage strap or bright ribbon to clearly mark your bag. This step seems so obvious that many write it off as silly, but I’ve had numerous friends whose bag was grabbed by a stranger mistaking it for their own either pre-boarding or off the luggage counsel. A distinguishing mark can prevent that from happening. Technology is also helping suitcases become more immune to getting lost permanently; a tracking device (as is included in smart bags like the Trunkster) is a great investment. Trakdot and PocketFinder are two separate tracking devices that can by synced with a smartphone and will keep tabs on your bag with GPS. Arriving to the airport as the very last second isn’t just bad for your personal stress levels; it can make the odds of your bag being checked and lost even higher. For one, there’s a higher chance you’ll have to gate-check a carry-on if you’re the last one on the plane. This isn’t as big of a deal if you’ve followed all the precautions outlined in step one, but it’s far from ideal. And even if you know you’re checking a bag, you don’t want to be last. According to Smart Traveler, baggage handlers need at least 30 minutes before take-off to process and load pieced of checked luggage. By giving yourself a time cushion at the airport, there’s a better chance this processing will go smoothly. Related: Avoiding super short layovers also increases the chance that your bag will make it to your final destination safely, for similar reasons. Of course, even if you follow these guidelines, there’s still a chance your bag could get lost, so it’s always good to be prepared for worst case scenarios. As U.S. News and World Report noted, always fill out an official report if your bag isn’t at the luggage counsel, make sure you keep a copy of the report, and confirm that the bag will be delivered to you for free if found. 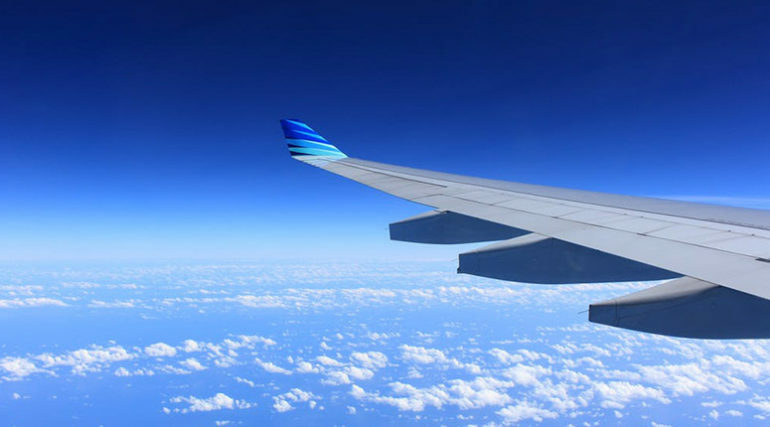 Hopefully, though, the aforementioned precautions will prevent it from ever getting to that point, and you’ll be off to enjoy your vacation or work trip, checked bag in hand!